The brand new for 2019 Treehog Hi Vis GO/RT Chainsaw trousers offer a superbly priced Type C trouser whithout comprimising on quality. 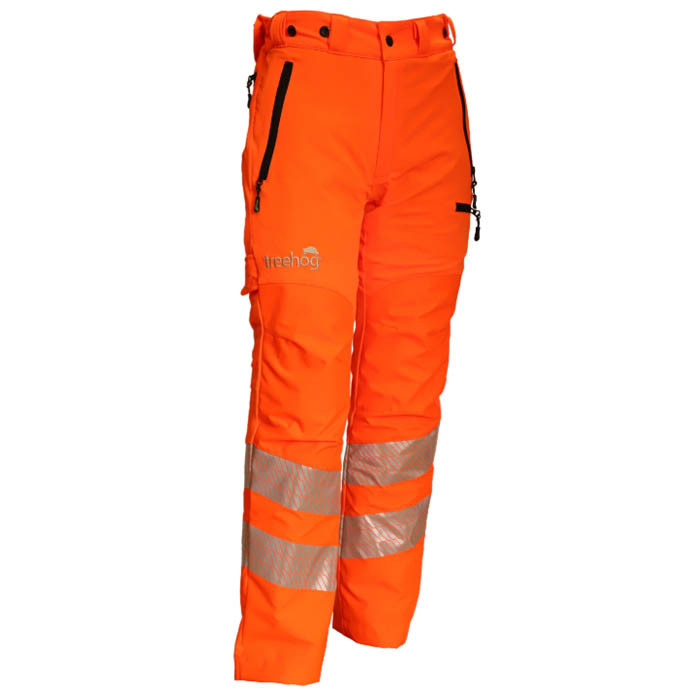 The GO/RT 3279 specified Orange is classified for use on railway work, and come with a elasticated waist for comfort and a Bi-Stretch breatheable crotch panel. They also offer lots of pockets for storage of your phone, wallet, tools and first aid bits, or anything else you may need.